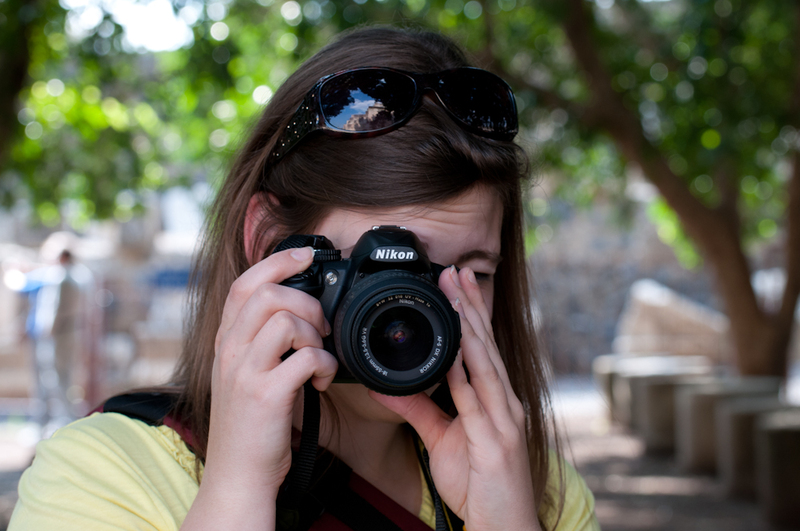 This entry was written by Sarah Jenkins, posted on 03/25/2011 at 3:44 pm, filed under March 2011 category. 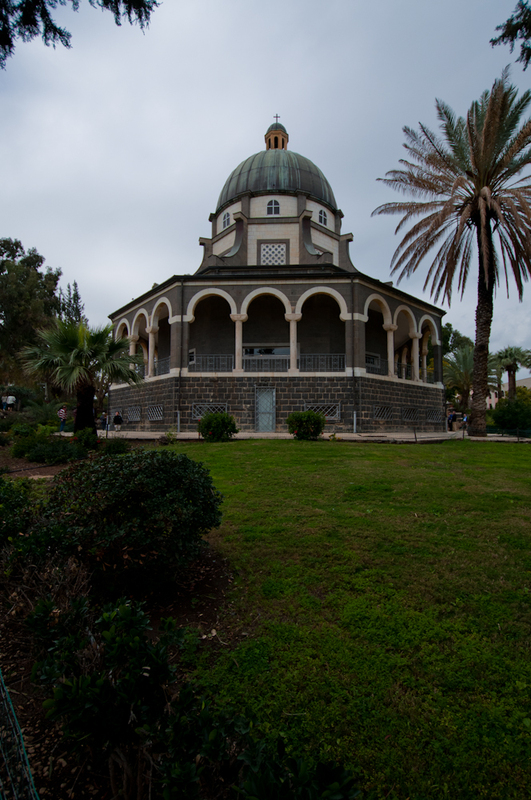 Our day began early this morning, with a visit to the Mount of the Beatitudes. 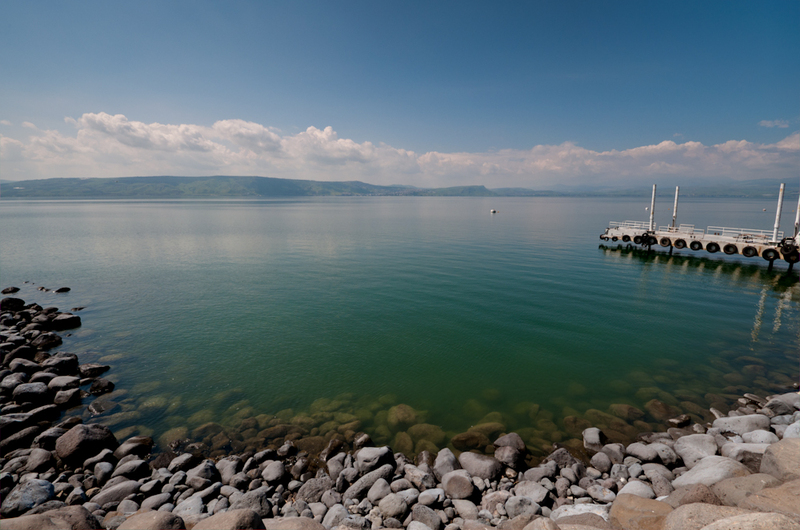 This is a place not far from the Sea of Galilee where Jesus fed the five thousand men, and gave His Sermon on the Mount. 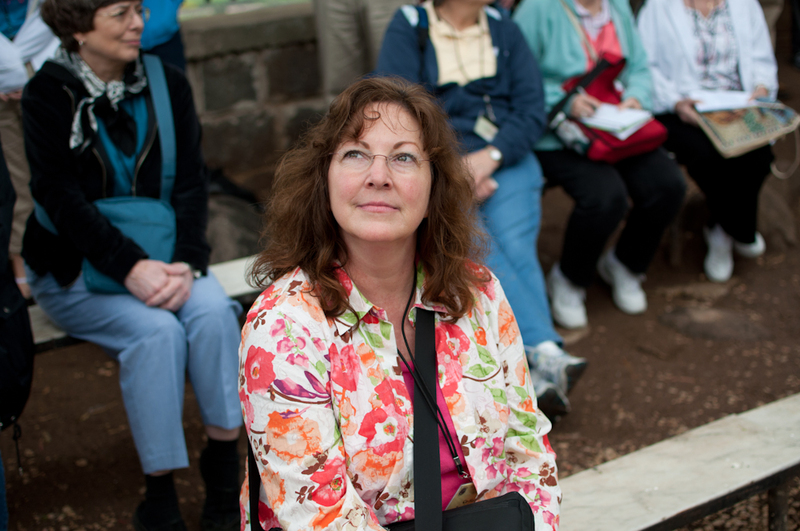 Today, there is a prayer garden and cathedral on the site, maintained by the Catholic Church. 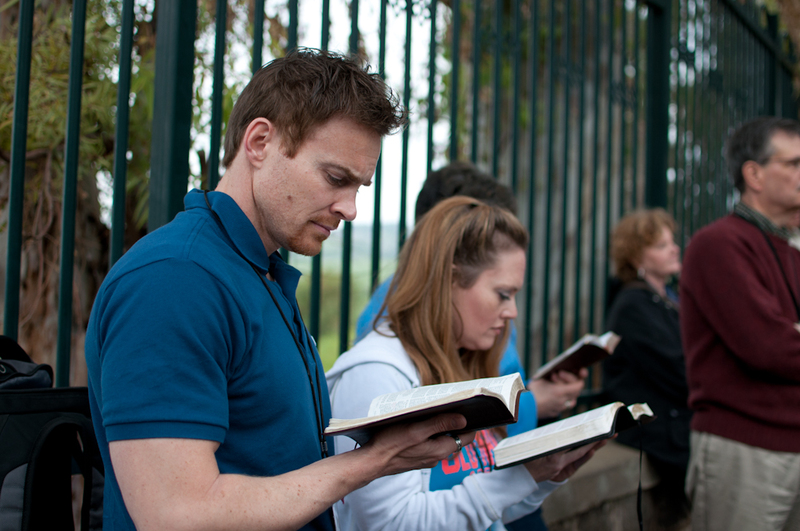 Pastor Becton recounted the Beatitudes to us as we sat in the shade of an olive tree with a beautiful view of the valley below us. What an amazing way to start the day! 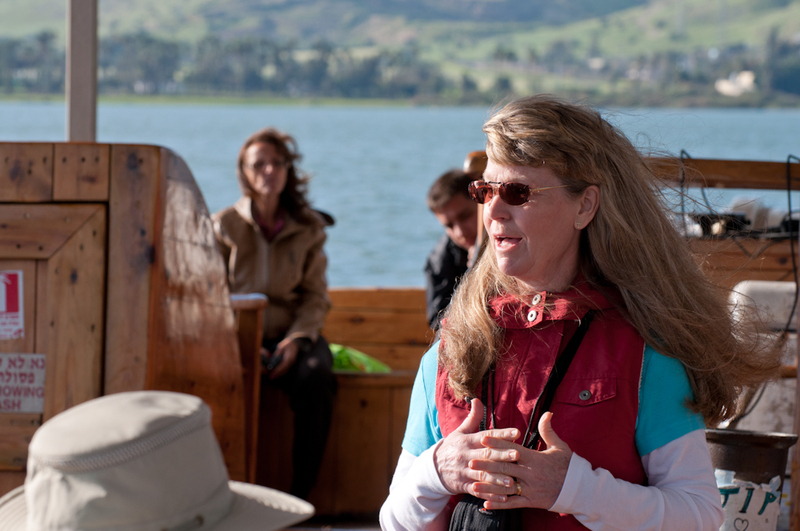 We did not linger long here, however, because we had a long journey ahead of us. 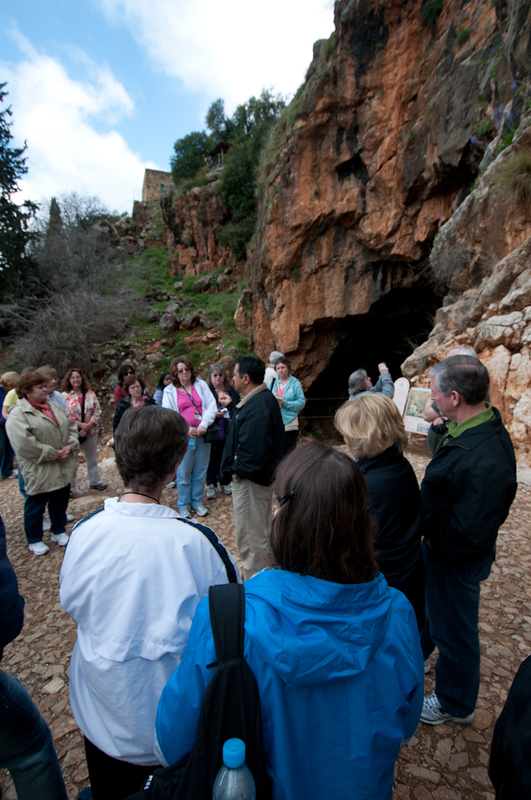 Next stop for our group was Caesarea Philippi, the city that was once the center for pagan worship in Jesus’ time. 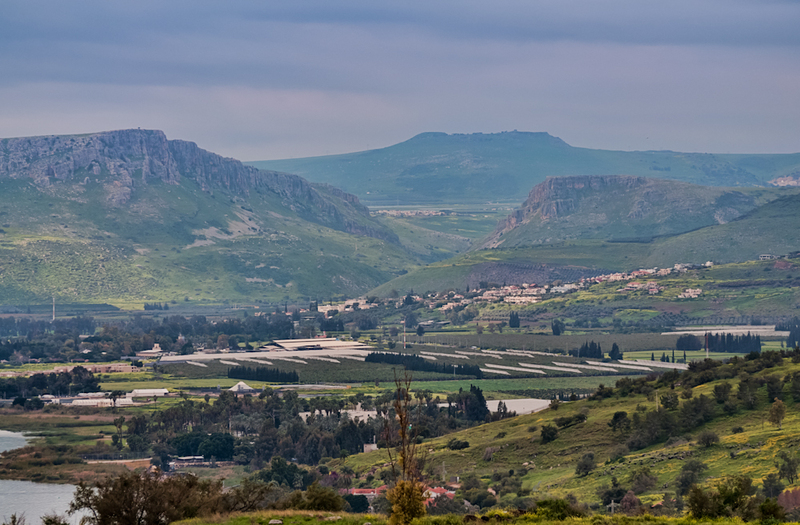 Located deep in the Golan Heights, it took us about an hour to arrive, but the drive was a scenic one. 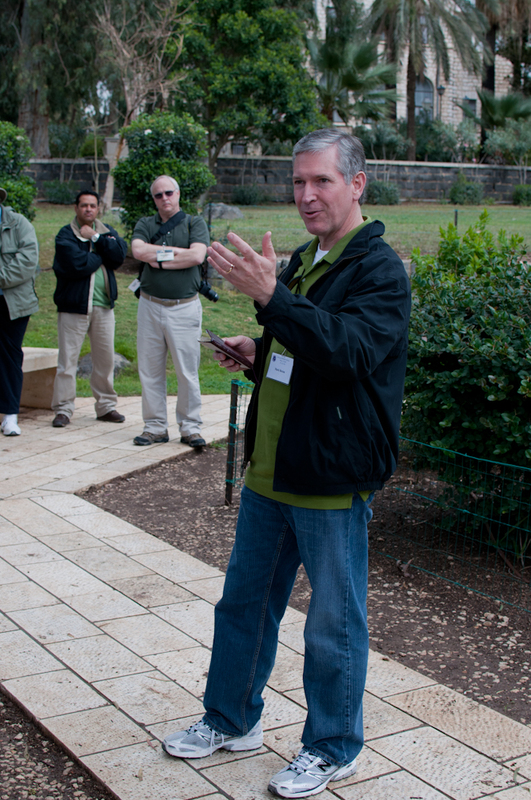 Yuval recounted stories of the Six Day War & the Yom Kippur War as we drove past the Syrian and Lebanese borders. 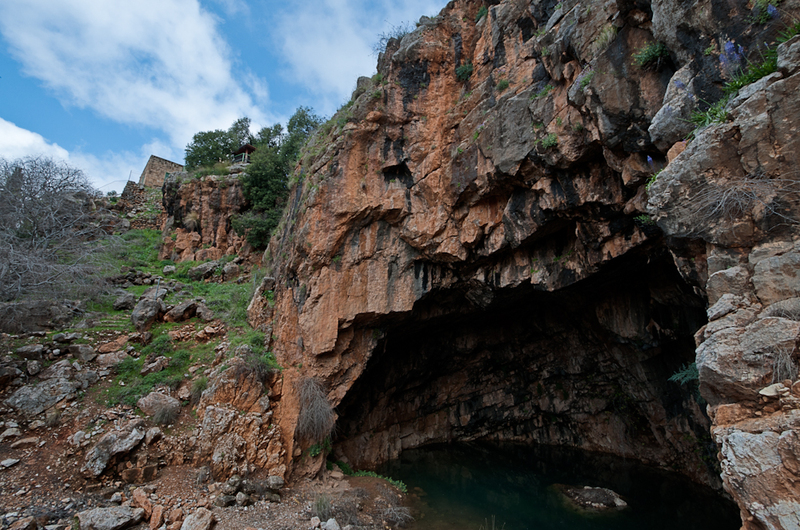 Caesarea Philippi is the site of a cave termed the entrance to Hades by the pagan worshippers of the time, and where Jesus made an important point about His triumph over evil and sovereignty as Lord. 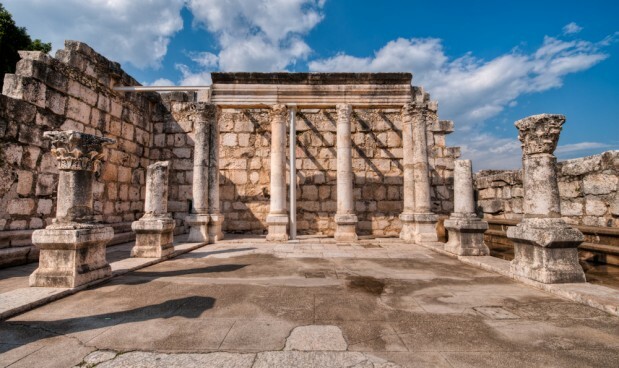 Although many of the structures of the pagan place of worship are gone, there is still much to be seen – places where idols would have sat, once-majestic columns, and the Mouth of Hades itself. It is easy to see how the pagan worshippers named it that. 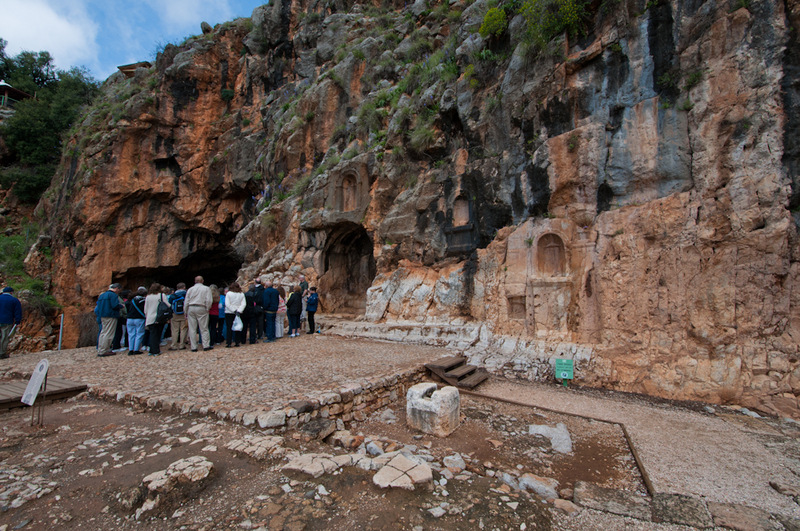 It is a chilling place, even more so when you consider the ritual sacrifices done in the names of false gods. 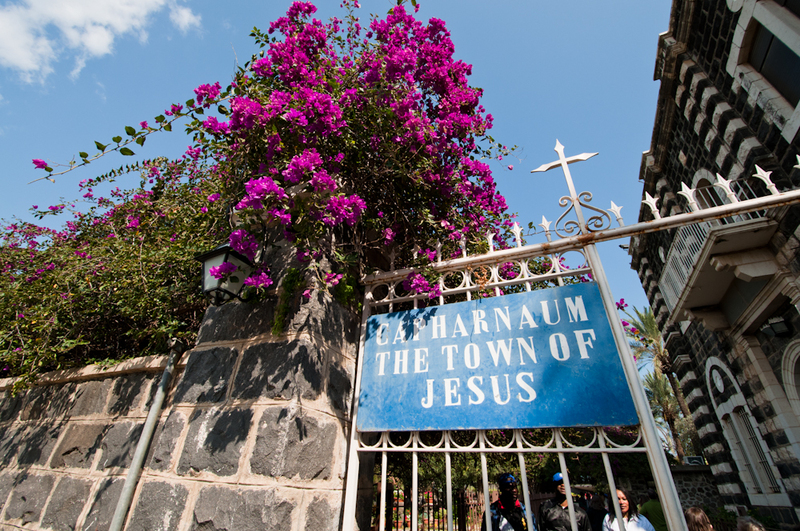 Standing in this very city, Jesus proclaimed Himself to be the Son of God, and that not even the “Gates of Hades” would stand against Him. 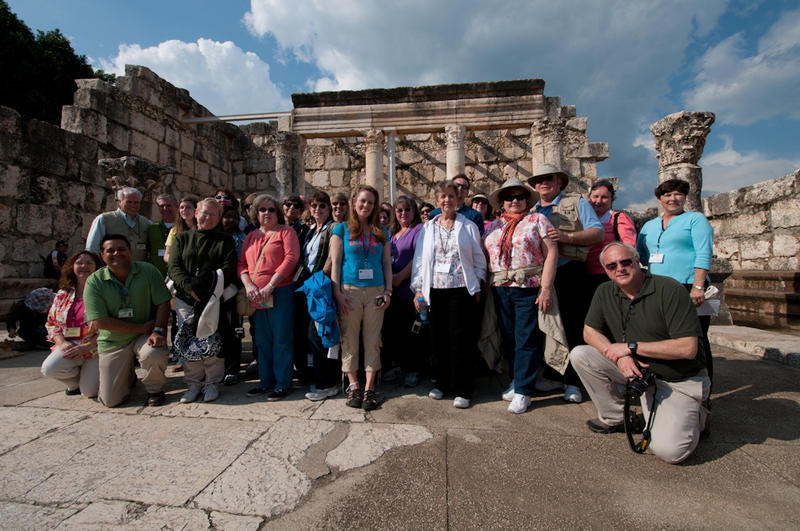 Once we had explored Caesarea, we returned to the bus for the long drive back to Galilee. 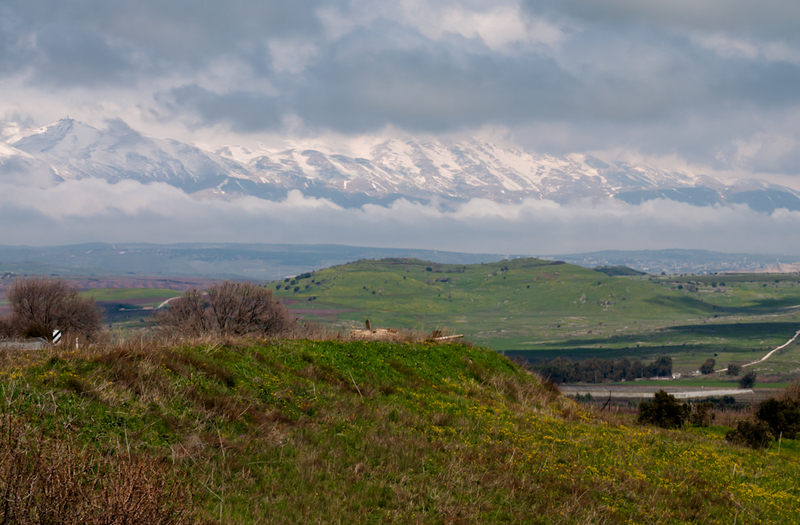 Thanks to God’s providence, we were able to catch a beautiful view of snowy Mount Hermon, the tallest mountain in Israel & the place where the Transfiguration of Christ would have occurred. This mountain is notoriously hard to see because it is usually swathed in clouds, and Yuval was so excited to have such a good view he directed Boaz to stop the bus so we could all take pictures. 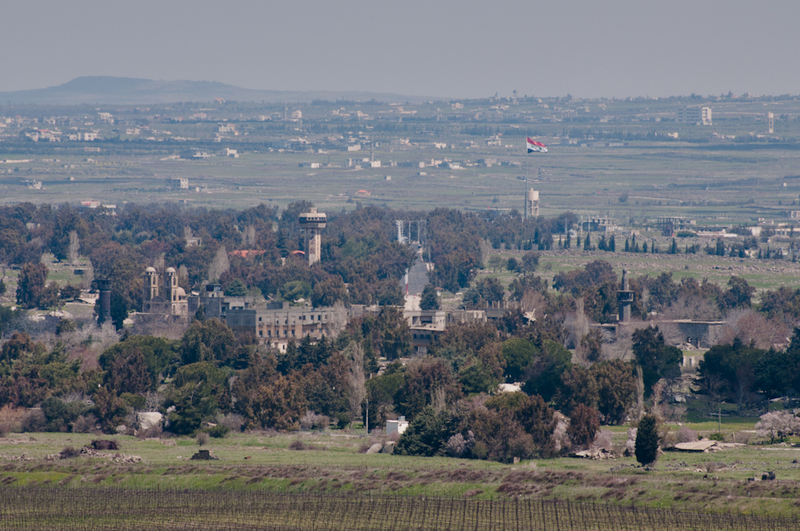 We stood on the side of a mountain, between an Israeli army base and the Syrian border, and were able to take some amazing pictures of this beautiful mountain! 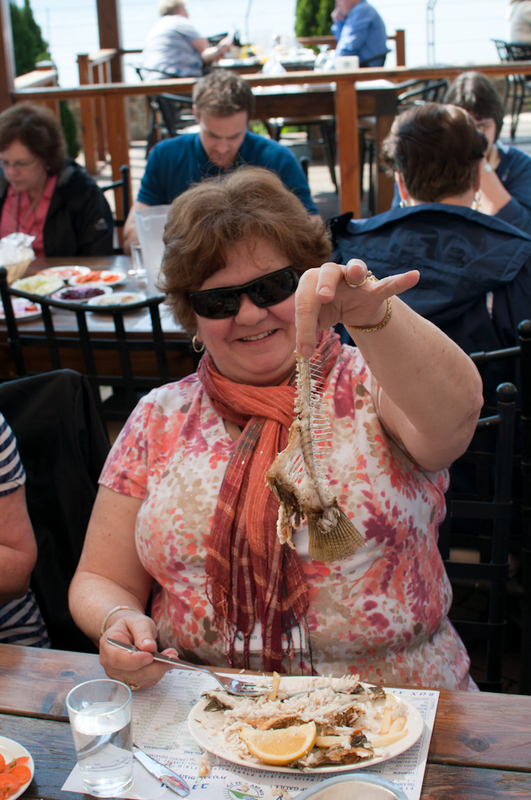 Once we finally made it back to Galilee, we stopped to eat one of the culinary highlights of our journey – St. Peter’s fish! 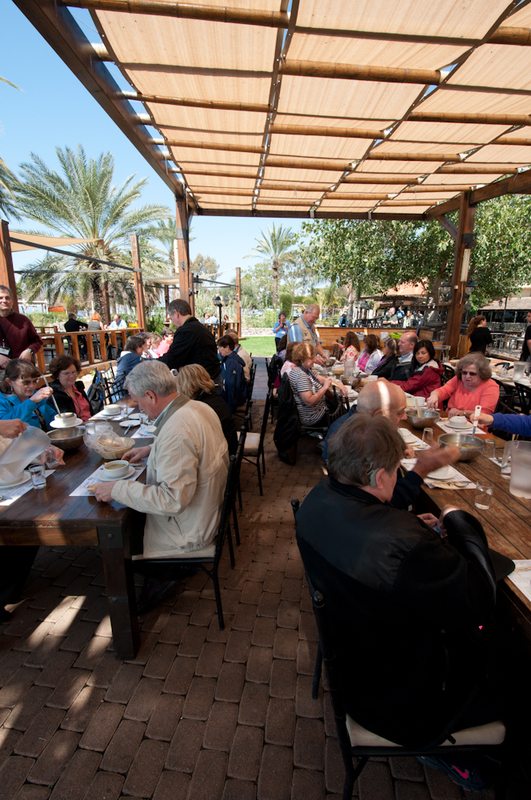 After traveling a short distance to Kibbutz Ein Gev, we sat down to partake of our lunch. 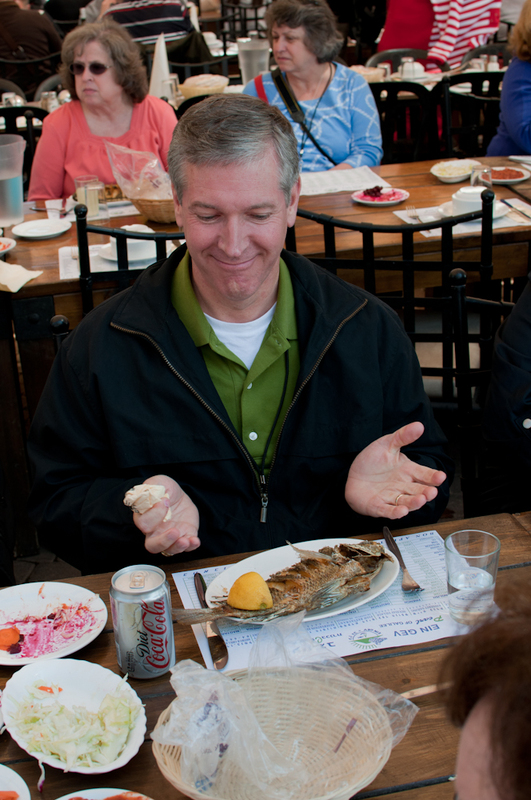 Although some people chose to eat the more familiar pizza or spaghetti, most people opted for St. Peter’s fish. 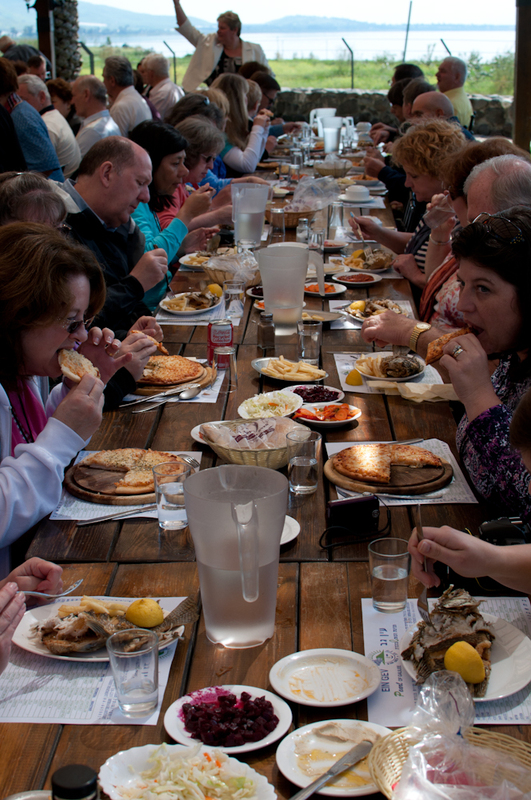 This is type of tilapia that populates the nearby Sea of Galilee, and is cooked and served the way that the disciples would have eaten it – head and all! Despite its intimidating appearance, it is really a very tasty dish. 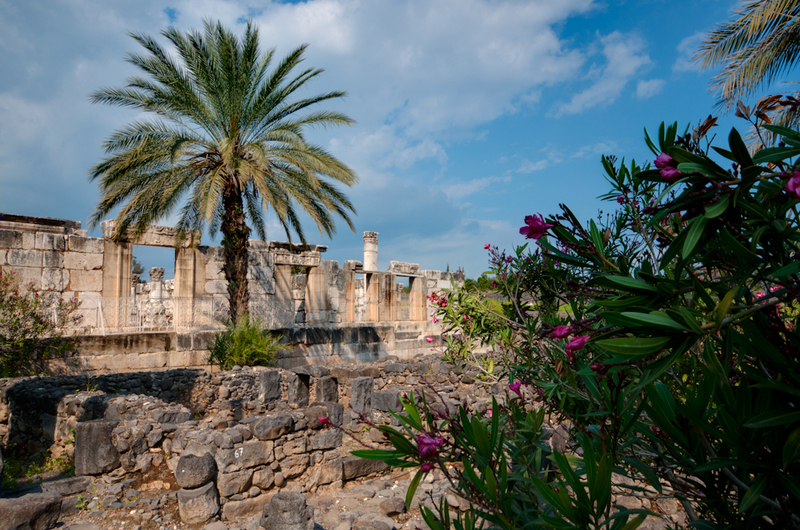 Once we had eaten our fill and enjoyed some of the beautiful scenery at the Kibbutz, we went to the ancient city of Capernaum, where most of Jesus’ miracles were performed. 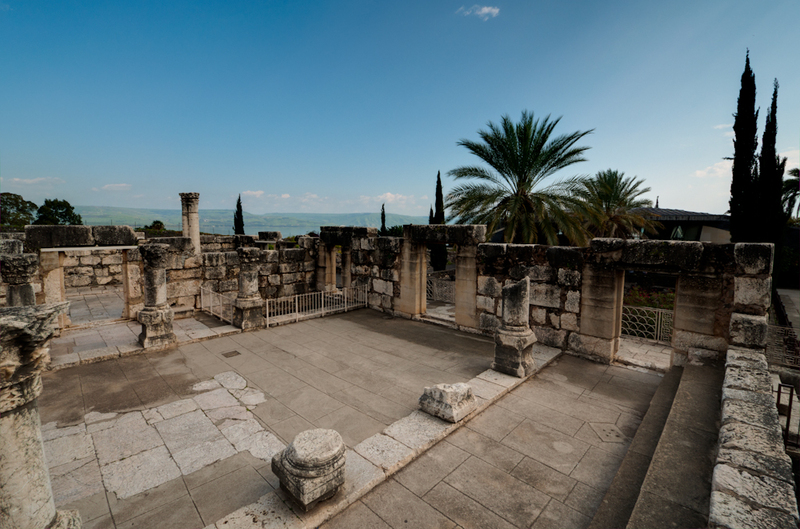 Here is where the cripple was lowered through the roof, where the woman with the blood sickness was healed, and where Jesus healed Peter’s mother-in-law. 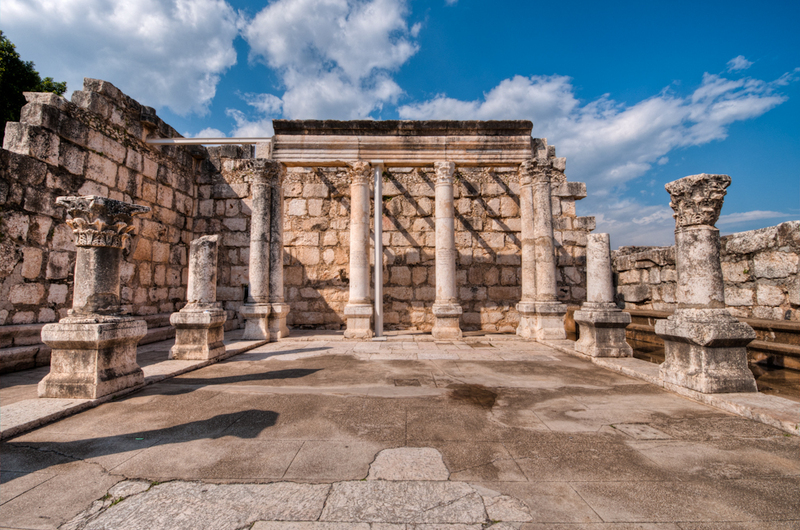 One of the most interesting places in this city is the “White Synagogue”, which was a 4th century construction built directly on top of the ruins of the Synagogue that stood in the city at the time of Jesus. The original foundation stones can still be seen! 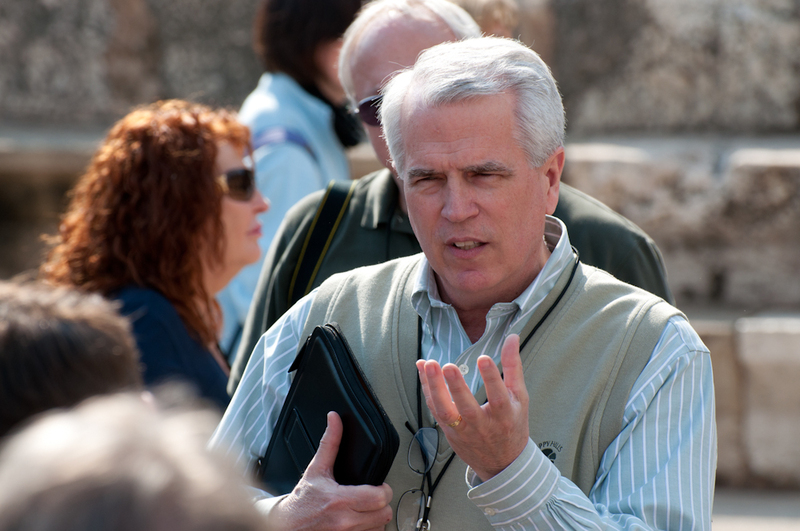 We stood in the men’s section of the synagogue and listened to Dr. Frank Wright talk to us about man’s search for truth, and how we can be assured of the truths we know about Jesus. 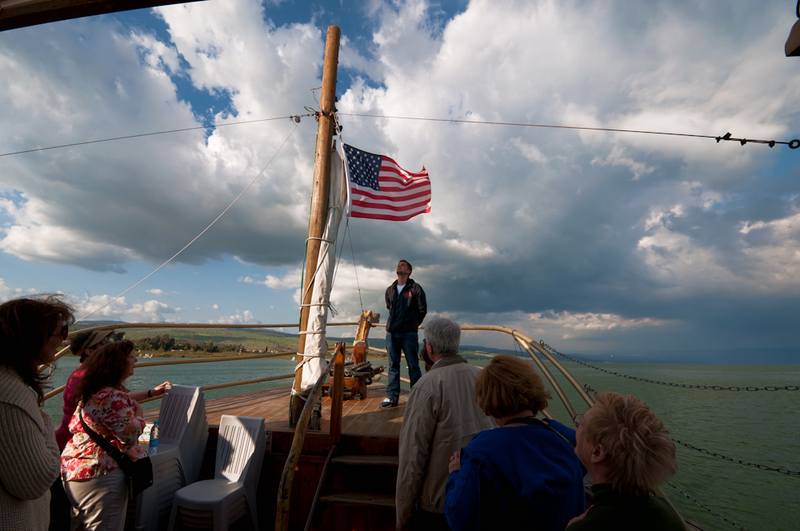 Our final stop for the evening was a boat ride on the Sea of Galilee in a replica of a fishing vessel from the time of Jesus. The weather was beautiful, and the sea was tranquil and relaxing. 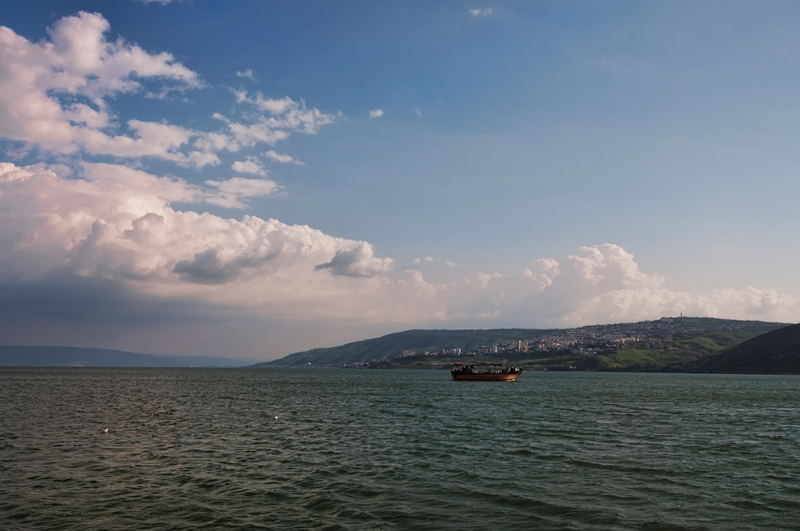 We took some time to reflect upon all that had occurred on this sea. 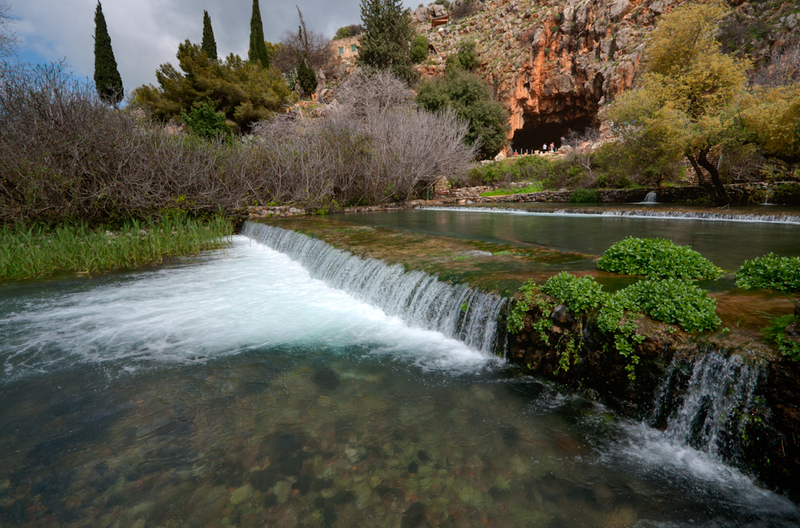 Here is where Peter took in his great catch of fish, and where he, James and John joined Jesus as His disciples. 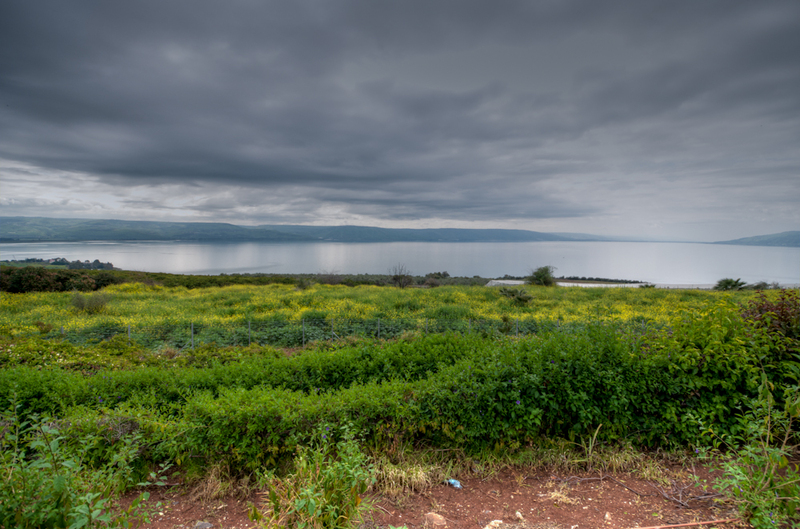 The feeding of the five thousand occurred nearby, and these waters are also the site where Peter took his walk of faith outside the boat. 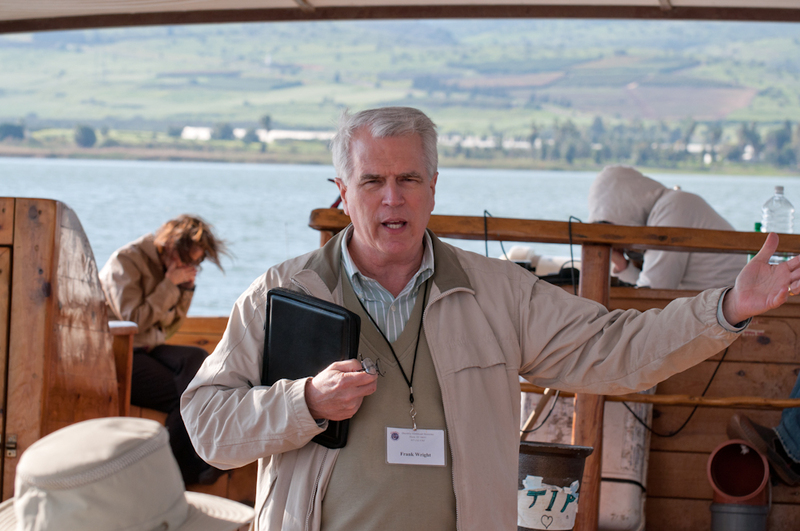 So much of great importance to Jesus’ ministry has occurred on this Sea! 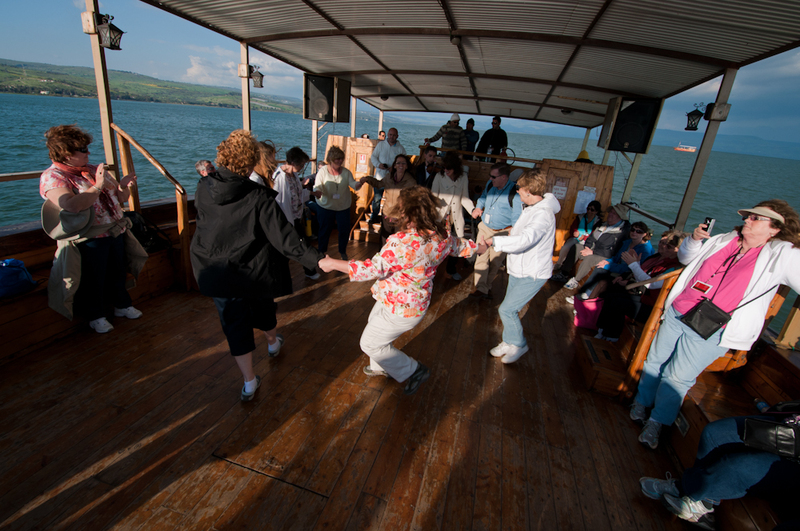 We spent some time in prayerful reflection, and were led in some joyful dancing by the boat crew, who taught the braver ones among us how to dance to Hava Nagila. 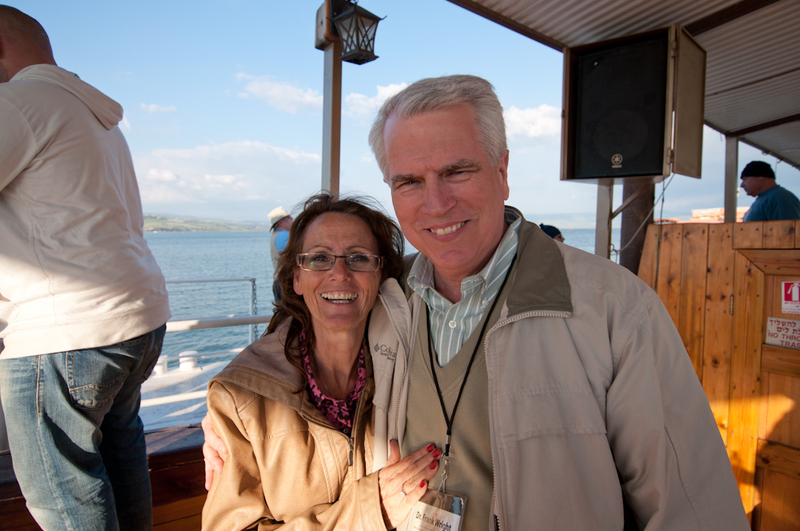 After we landed, we visited the museum that holds a boat far older than the one we had just left. 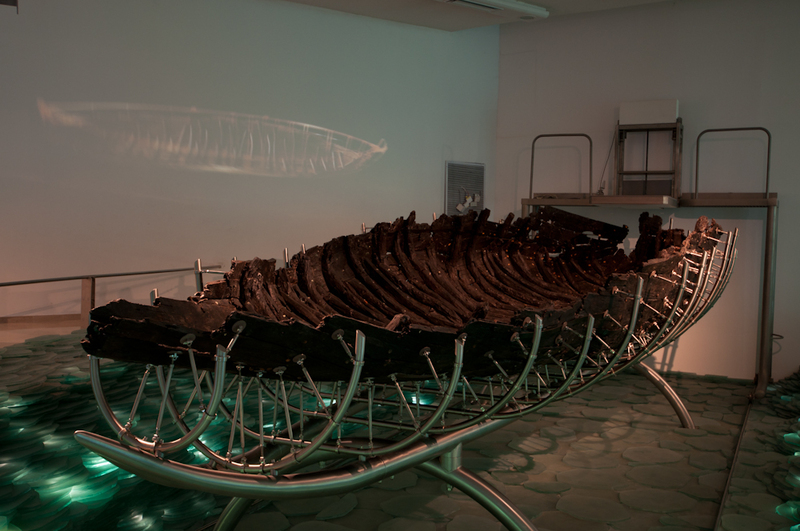 This boat dates to the time of Christ, in the 1st century AD. 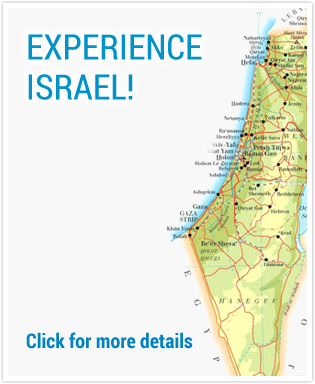 Because it was buried in the muck at the bottom of the Sea of Galilee for so long, it is still remarkably well-preserved for being literally two millennia old. 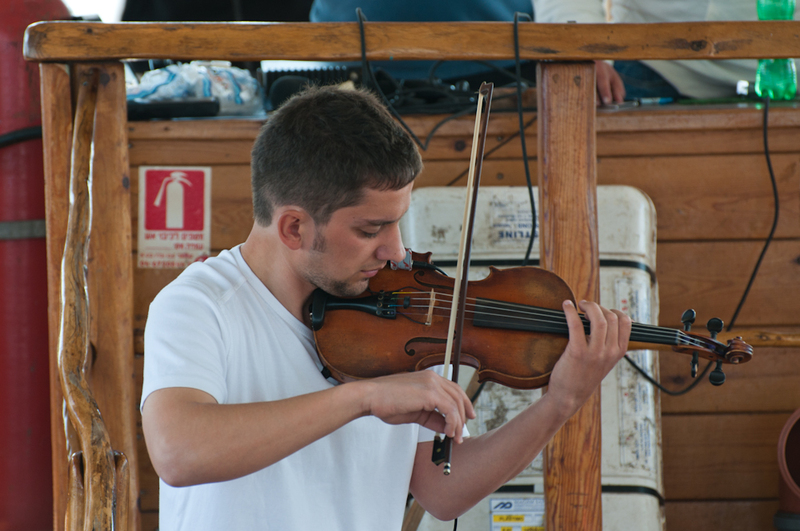 Its hull is actually made of twelve different kinds of wood, which makes it an unusual specimen. 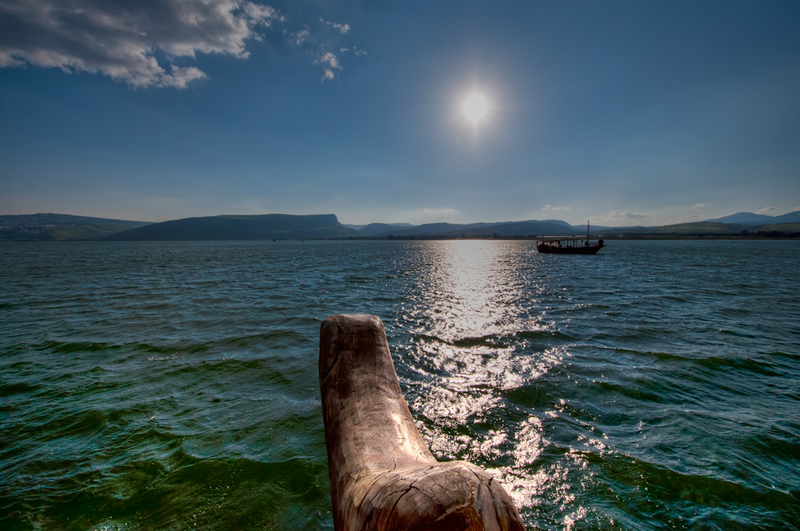 Because of this, there is some speculation that it could be a boat that Christ would have used, but of course there is no way to know for certain. After we spent some time shopping in the museum, we boarded the bus to return to our hotel. 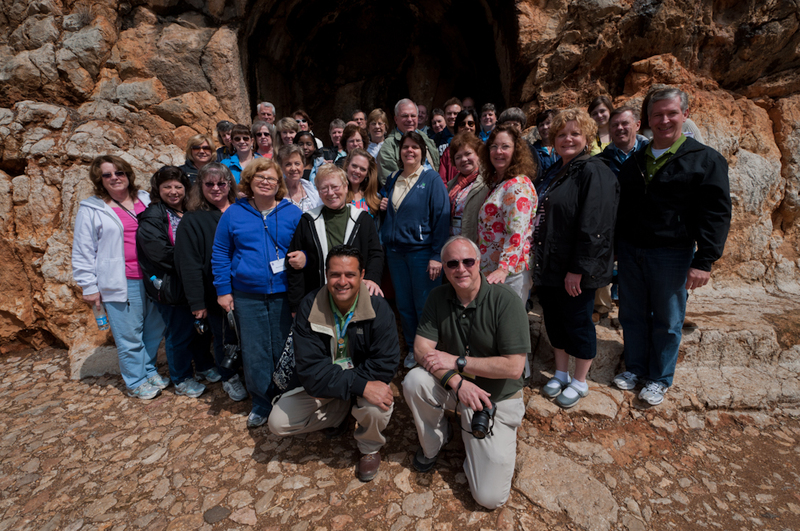 Tonight will be our last night in Galilee, tomorrow we will ascend to Jerusalem!